The chat and video game stream are live from Twitch. Sit back, relax, and watch Hermit_theCrab gaming and chatting with viewers. Feel free to jump in and say hello! Enjoying the stream? Please don’t forget to follow Hermit_theCrab on Twitch and Subscribe on YouTube. Hello, IamHermittheCrab. Welcome to Hermit_theCrab Gaming, a place to watch video game tutorials, gameplay highlights, game reviews, glitch fixes, and random funny videos. Over on my YouTube channel, IAmHermittheCrab, you’ll find videos that can help you improve your gameplay. Hit the YouTube subscribe button to see my future videos as they are released. I am probably streaming live gameplay over on twitch.tv/hermit_thecrab, or I will be soon, so stop by chat and say hello. To keep updated on my live schedule, make sure to follow me on Twitter or Facebook. I always post when I go live on Twitch or upload a new video to YouTube. Or stick around this site and watch my gaming videos and other gaming tips. Does Hermit’s live video game stream say AFK? Hermit is away from his keyboard, so the live stream is down. But don’t get crabby. There are lots of other things to see here. Take a look at Hermit’s gaming page to learn about the different games that Hermit_theCrab likes to play on a regular basis. Hermit loves variety and trying new things, so he usually plays new releases as soon as they are available. Sports games, MMOS, and first person shooters are Hermit’s favorite kinds of video games. You can also see Hermit_theCrab’s PC and Network Specs on the gaming page of this site. 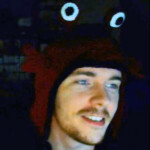 If you want to learn more about Hermit_theCrab, his favorite games, and why he loves to stream video games live on Twitch, check out the About page. If you are ready for more video game content while Hermit is AFK, check out Hermit’s YouTube Channel, IamHermittheCrab, for great clips of sports games, first person shooters, and MMOs. Hermit shows you his favorite gameplay highlights, gives tutorials, and reviews video games. Looking for Hermit_theCrab Gaming gear? Hermit’s gaming inspired t-shirts are now available here, on SpreadShirt.com. New designs will be added all the time! 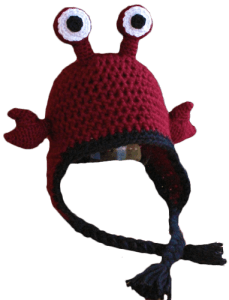 Get crab hats and other accessories handmade just for you at Mrs. Crab’s Etsy store. Browse Hermit’s favorite games, hardware, and accessories on the Gaming and Hermit’s Amazon pages of this site.